"Sampath Speaking" - the thoughts of an Insurer from Thiruvallikkeni: how hand of God goal of 1986 haunted the linesman !! 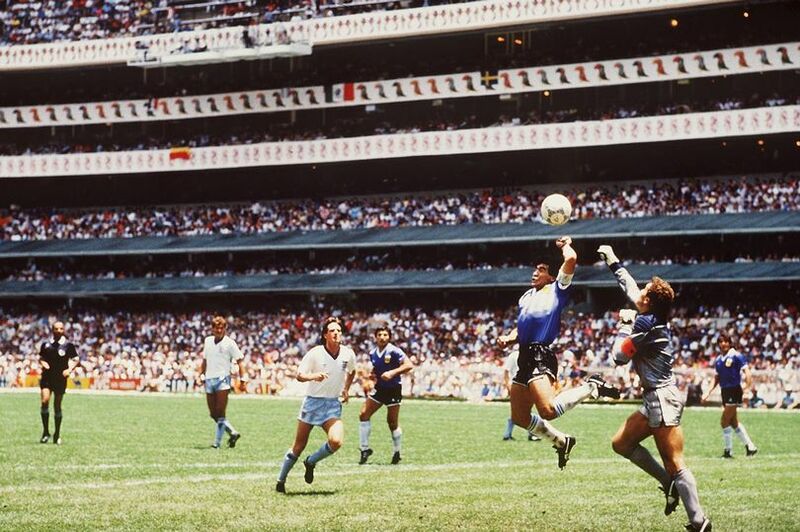 how hand of God goal of 1986 haunted the linesman !! Now that IPL is over ~ there is time for other sports too. .. Pro Kabaddi League 2018 auctions attracted me .. .. Monu Goyat shattered the records as he fetched a big amount of 1.51 Cr while Rahul Chaudhari was the second costliest buy as he fetched 1.29 Cr on Day 1. Apart from these two, Nitin Tomar, Rishank Devadiga and Deepak Niwas Hooda also broke the 1 Cr barrier. Goyat was sold to Haryana Steelers while Chaudhari went to Delhi. Earlier, it was Iran’s Fazel Atrachali who became the first player in PKL 2018 auctions to fetch 1 Cr after he was sold to U Mumba. Heard of or remember - Bogdan Ganev Dochev (1935 – 2017) a Bulgarian football referee. He is known for having refereed two matches in the FIFA World Cup, Italia - Camerun 1:1 in 1982 and Paraguay - Belgium 2:2 in 1986. Dochev was a linesman in the famous Brazil versus Italy match in 1982 and in the game between England and Argentina in 1986 in which the ‘Hand of God and Goal of the Century’ were scored by Diego Maradona. Back in their country, Lionel Messi was once again the main attraction as Argentina continued to train for the World Cup in their native capital of Buenos Aires. The South American side went through the motions under the watchful eye of head coach Jorge Sampaoli with PSG star Angel Di Maria and Juventus striker Gonzalo Higuain also refining their skills. The trio of Messi, Di Maria and Higuain all arrived on the back of lifting domestic titles with Barcelona, PSG and Juventus respectively, and they will be hoping to take that winning mentality with them to Russia. Having come so close to winning football's biggest prize four years ago, Argentina head to this summer's World Cup as one of the favourites. 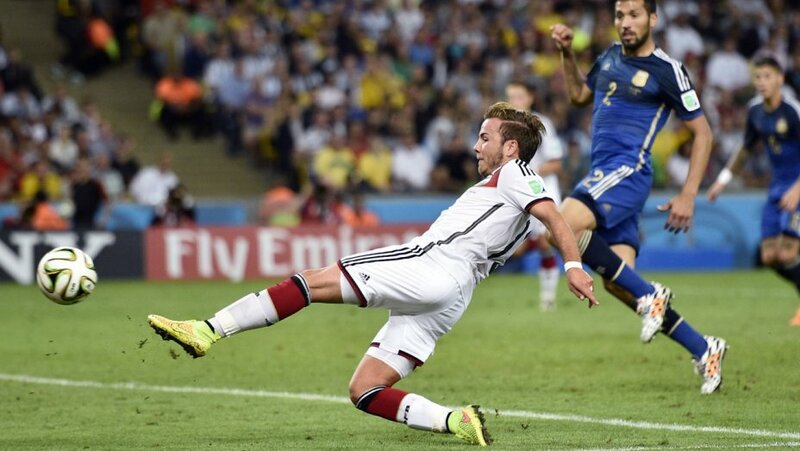 In heartbreaking circumstances, Messi missed out on his first major international trophy thanks to Germany's extra-time winner from Mario Gotze. Gotze is not part of the Joachim Low's Germany squad for this World Cup, but the defending champions still looked littered with fantastic footballers as they continued their own preparations in Eppan, Italy. Mauro Icardi, the joint top goalscorer in Italy's Serie A this season, was left out of Argentina's World Cup squad on Monday (May 21) as coach Jorge Sampaoli named his 23 players for next month's tournament in Russia. Sampaoli named just four forwards in his squad with Lionel Messi, Paulo Dybala, Sergio Aguero and Gonzalo Higuain all selected. That meant there was no place for Icardi, who scored 29 league goals for Inter Milan this season. Diego Maradona, the hero of the nation’s 1986 World Cup triumph, stated that he has doubts regarding whether the two times world champions would make it past the group stage in the showpiece event that kicks off in June. Argentina have been drawn against Nigeria, Iceland and Croatia in the Group D of the coming World Cup in Russia. According to Maradona, none of these matches would be easy for the Albiceleste. Maradona felt that the Argentina team does not have a true leader and felt that the country are risking their illustrious history. In short, he suggested that he fears that the Albiceleste might embarrass themselves at the world’s biggest stage. Maradona, who joined as chairman of a Belarus club Dynamo Brest, after stepping down as coach of United Arab Emirates second division club Al-Fujairah last month, is not considered as a great tactician himself. However, he did not hesitate to criticize the tactics of Jorge Sampaoli and said it was ridiculous. On that day 22nd June 1986 – whole World watched Argentina play England in the quarter-finals of the 1986 FIFA World Cup at the Estadio Azteca in Mexico City. The game was held four years after the Falklands War between Argentina and the United Kingdom, and was a key part in the already intense Argentina–England football rivalry. It was also a match which included two of the most famous goals in football history, both scored by Diego Maradona. The first goal, after 51 minutes, was to become known as the "Hand of God goal", which Maradona scored by using his hand. His second, four minutes after his first, saw him dribble past five England players, Beardsley, Reid, Butcher, Fenwick, Butcher (again), and finally goalkeeper Peter Shilton, and became known as the "Goal of the Century". Argentina won the game 2–1 and went on to win the 1986 World Cup with a victory over West Germany in the final match. Maradona won the golden ball for player of the tournament whilst England's goalscorer on the day, Gary Lineker, won the golden boot for being the tournament's top scorer. But for all the rights and wrongs, the scoreline was the scoreline: Maradona 1-0. The Argentina captain had, in the final analysis, been a cheeky get. This much was true. The linesman who let Maradona get away with his 'Hand of God' goal against England was tormented by his decision until his death, his wife was to reveal years later. Bogdan Dochev, who died in his home country of Bulgaria last year, admitted in 2014 that he had seen the Argentine punch the ball beyond England goalkeeper Peter Shilton during the 1986 World Cup quarter-final. His widow Emily said he 'withdrew into himself' after the storm of controversy over the match - and even scrawled 'Maradona is my gravedigger' on the back of a photo of the player. Following the handball, TV images showed Tunisian referee Bin Nasser running slowly backwards towards the centre of the pitch and looking at Dochev. The Bulgarian, however, did not wave his flag and stood absolutely still. 'I'll never forgive that referee and I’ll never forgive Diego Maradona,' she said, according to The Sun. 'After the World Cup our life was ruined. Bogdan withdrew into himself and friends never said hello to me again. It wasn’t a Hand of God for us, it was a kick in the teeth.' In an interview three years before he died, Dochev confirmed he had spotted the Hand of God infringement. However, he claimed that FIFA rulings at the time dictated he should only offer his verdict to Tunisian match referee Ali Bin Nasser if directly asked by the official to do so. So was that a hand of God ! ~ mere communication gap or language problem ! !